When you are walking around near the street, you should have a reasonable expectation of safety as long as you follow all of the rules of the road. Unfortunately, many drivers fail to take pedestrians into account when driving, and cause serious injuries to people who were not breaking the law. If you were injured by a motorist while walking, we strongly encourage you to schedule a free consultation with an experienced pedestrian accidents attorney. 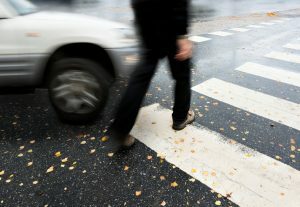 Disobeying Traffic Laws: Drivers racing to beat a red light or turning when they do not have a green light can lead to serious injury to pedestrians who need to cross the road. Since people often accelerate to get past red lights, if a pedestrian gets in the way at an intersection, it can lead to serious injuries and even death. The same goes for drivers who fail to stop at an intersection where a pedestrian has the right of way. Reckless Driving: While reckless driving shares many similarities with disobeying traffic laws, there are some cases where the driver doesn’t do anything illegal, but they were reckless in their actions that lead to a pedestrian getting injured. For example, if a driver takes a turn very quickly in an area where pedestrians have very limited visibility, and they end up hitting the pedestrian, their actions could be considered reckless, even if they weren’t breaking laws. This often leads towns and cities to create different speed limits near turns with limited visions, but the damage has already been done in many cases. Driving While Distracted/Impaired: Texting while driving, or being under the influence of drugs or alcohol, severely increases the chance of a pedestrian being struck by a car, as the reaction time of the driver is reduced significantly. Precipitation: Precipitation not only makes the roads slippery, it can lead to reduced visibility that causes drivers to make decisions that can lead to pedestrian accidents. Head, Neck & Spine Injuries: Being hit by a car can cause serious injuries, none more serious than an injury to your spine or the surrounding areas. Because cars have so much force, the spinal and head injuries resulting from being hit by one can be paralyzing, or even deadly. 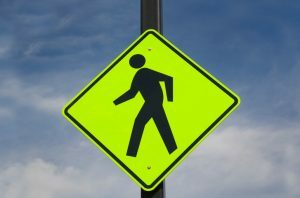 Severe Bruising & Lacerations: When a pedestrian is struck by a car, there are multiple things that can happen in the aftermath. The pedestrian can hit the windshield of the car, which can cause bruising and laceration, especially if the windshield cracks or breaks. In addition, the pedestrian might be knocked to the pavement, which can cause serious bruising and lacerations depending on the toughness of the surface. Broken Bones: The force of a car hitting into a pedestrian is often enough to fracture bones. While broken bones may not sound as serious as spinal or head injuries, they can seriously change your life for the worse in many ways, including missing work, being unable to drive, and having trouble doing normal things like cooking, cleaning, or even sleeping. 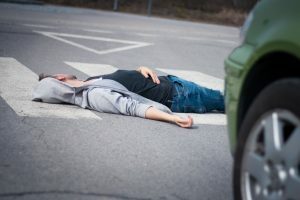 Seek medical attention: While it may be tempting to brush yourself off and act as if everything is OK, if you have been hit by a car, you need to seek medical attention. Not only will it ensure that you are healthy, it will provide evidence of any injuries you sustained from the injury if you decide to pursue a personal injury case in court. Get Information From Driver & Witnesses (if possible): If you, or someone who you were with, is able to, it is very helpful to gather as much information as possible on the scene of the accident, including any witness testimony and the information of the driver who hit you. If you are able to gather this information, it will greatly help with building a personal injury case. Take Pictures: Taking pictures of the scene of the accident, including traffic lights and signs, skid marks of the road, and any property damage, will be incredibly useful as you build your case. As with gathering information from drivers and witnesses, this step takes a back seat to getting proper medical attention. File A Police Report: Filing a police report is not only critical for your personal injury claim, it might help catch the person who hit you if you weren’t able to get their info after the accident. If you have been hit by a car that was disobeying traffic laws, then you should not be paying out of pocket for your injuries and lost wages. Contact us today to schedule a free consultation, and we will let you know if you have a case.